What are Automatic Sweepstakes Entries? What Do Sweepstakes Mean When They Say No Automatic Entries? What are Automatic Sweepstakes Entries? Does Auto-Fill Count? Here is a question that many sweepstakes fans have: "When reading through sweepstakes rules, sometimes automatic entries are not allowed, what does this mean? Will we be disqualified for using the automatic form filling feature of my internet browser? What about Roboform?" Automatic sweepstakes entries are made by a bot or a software program which fills out the entry forms for you without the entrants ever needing to visit the sweepstakes sites. (Or they enter for you daily, and you only visit the sweepstakes site the first time). While automatic entry services may have advantages for sweepstakes sponsors, such as reaching a target audience that wouldn't otherwise find their sweepstakes, some companies prohibit automatic entries because they only want people who have visited their websites to have the chance to win. Drawing people to their website is an important goal for many companies when they run sweepstakes because it gives them a chance to inform you about their products. 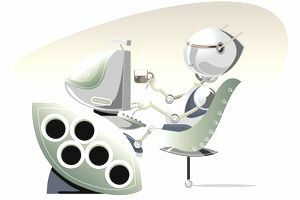 Roboform is different from typical automatic entry services. Using Roboform means that you don't have to type as much to fill out your entry forms, but you still visit the sweepstakes' websites, decide if you want to sign up for newsletters, and so on. The same is true for the autofill option on your internet browser and auto-fill programs that offer alternatives to Roboform. So Which Kinds of Automatic Entry Are Allowed? When sweepstakes rules state that automatic entries are not allowed, they usually mean the first type of service I outlined above, where a third party or a software program is entering for you, without you personally visiting the sweepstakes site each time. This would mean that your browser's autofill and auto-fill programs like Roboform would be allowed. However, there is no consensus among sweepstakes sponsors about what exactly an automatic sweepstakes entry is. A few companies do include Roboform and browsers' autofill options when they make automatic sweepstakes prohibitions. And it's not always easy to tell which is which. "The use of any automated launching or entry software or any other mechanical or electronic means that permits the participant to automatically register and/or enter repeatedly is prohibited and all such entries will be disqualified." "Entries made through any robotic, automatic, mechanical, programmed or similar entry duplication method are ineligible and will be disqualified." Automatic entry services are definitely prohibited by those sweepstakes rules. For example, if you wrote a program that automatically filled out and submitted a bunch of sweepstakes entries for you while you washed the car or made breakfast, it would definitely fall under the automatic sweepstakes rules. For the most part, the autofill feature of your browser is not considered automatic entry. After all, you visit the site, you see the advertising, you have the opportunity to explore the sponsor's offerings in more depth. What difference does it make to the sponsor if you type in the information or not? While specific sponsors may disagree, most do not consider an entry completed with autofill to be an automatic entry. "Every submission must be manually keystroked and manually entered by the individual participant and repetitive automated electronic submission of entries is specifically disallowed." In this case, you have to type everything in yourself, no mechanical assistance allowed. In short, if you wanted to be absolutely sure to never, ever fall under the automatic entry rules, you should type every entry that includes automatic prohibitions in their rules by hand. However, if you do that, you will be filling out a lot of entry forms by hand that would have been perfectly allowable with the assistance of autofill or Roboform, and that will dramatically increase the time it takes you to enter. Slower entering time means fewer entries and longer odds of winning. Because there is no way to tell for sure which sponsors really don't like form-fillers, the small chance of being disqualified from very few sweepstakes where the sponsors disapprove of that kind of software is worth the benefit of being able to enter many more sweepstakes. We use an auto-fill program or our browser's autofill to enter sweepstakes that do not specify that entries must be manually keystroked. Contiguous vs. Continental United States: Is There a Difference?